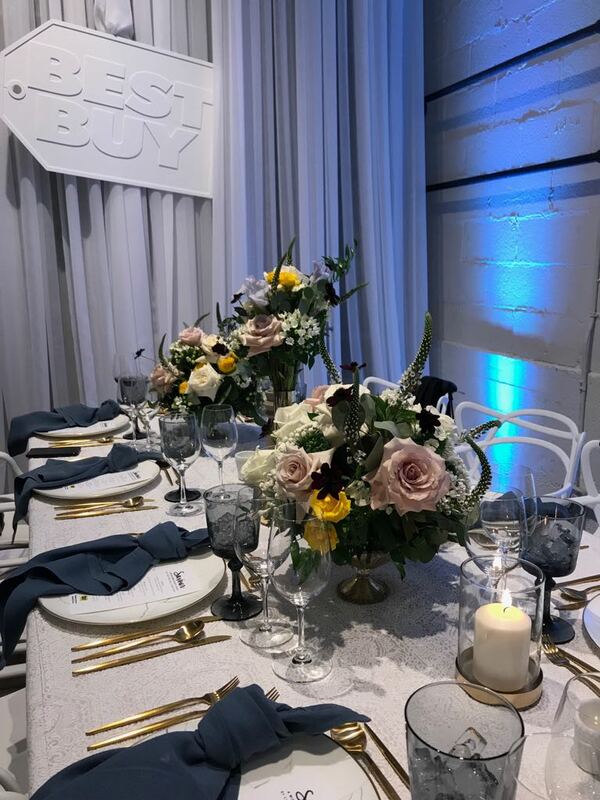 Last week I was one of several lucky media guests invited by Best Buy Canada to an intimate evening dinner with Ned Bell, Ocean Wise executive chef at the Vancouver Aquarium. 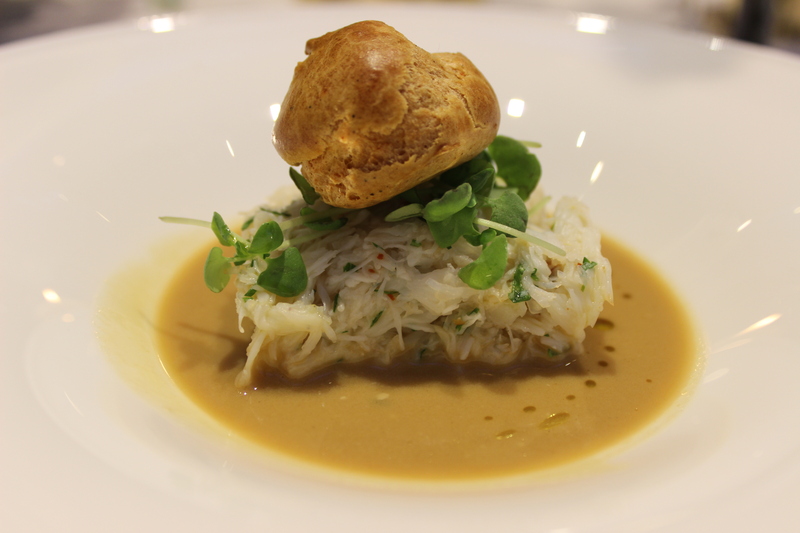 Savour was a memorable dining experience in the heart of Yaletown. An empty storefront was transformed into a longtable dining room, with decor mimicking the romantic summer floral you might see in a wedding or a fine dining patio. A stylish state of the art smart kitchen, full of new LG, KitchenAid, and Vitamix appliances was designed by Aly Armstrong, designer extraordinaire. 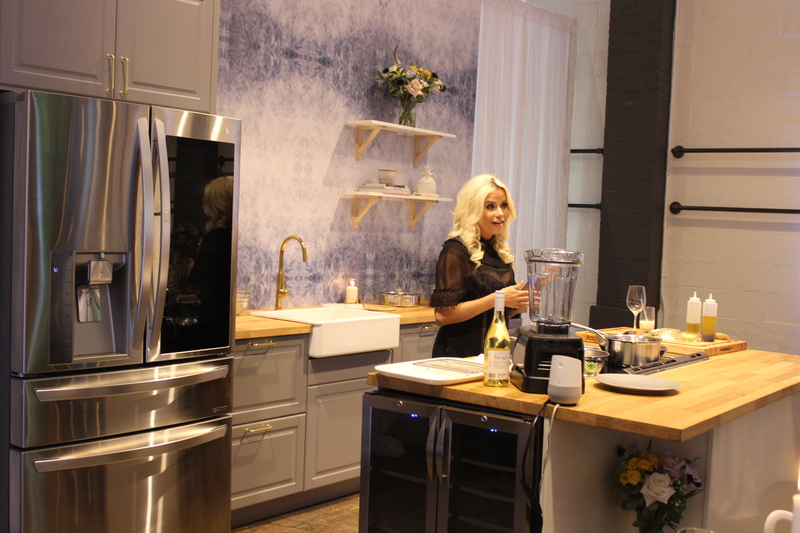 At the beginning of the evening, Aly provided us with her secrets to creating a stylish kitchen such as by adding pops of colour using countertop appliances which now come in various colours thanks to companies like KitchenAid. 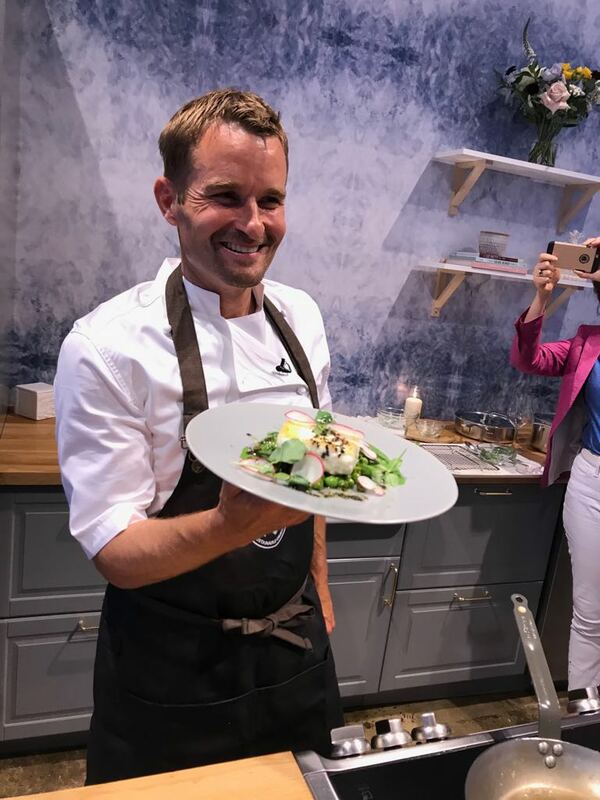 After the crash course in interior design, we were treated to a cooking demo by Ned, who taught us all some helpful tips on cooking and plating a halibut dish, including how to elevate it from a $10 dish to a $35-40 dish. Dinner consisted of a Ocean Wise sustainable menu created by Ned and cooked by the talented chefs at Culinary Capers. 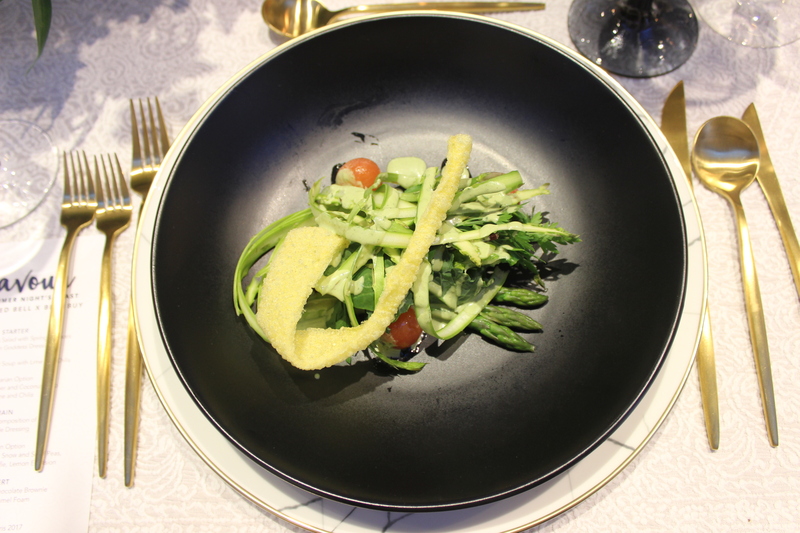 We started off with a local asparagus salad with spring lettuces and green goddess dressing, followed by a crab and coconut soup with lime and chilis. 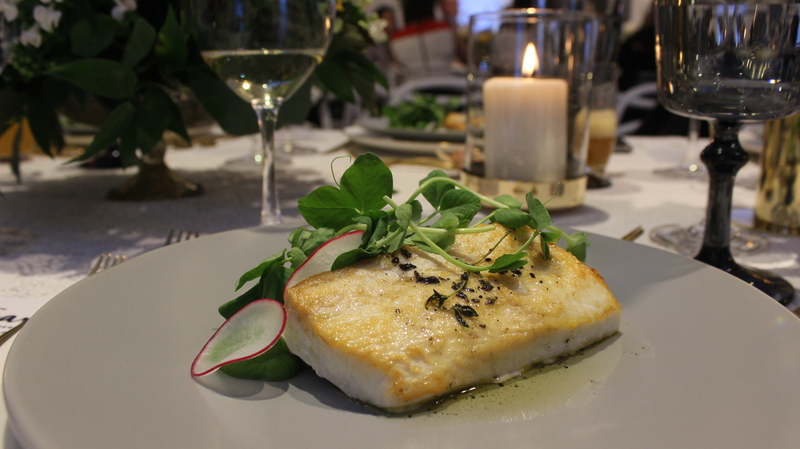 Our main entree of course was Ned’s demo – Pan seared halibut with a composition of fresh peas (english, snap snow) and truffle dressing paired with a glass of Haywire Pinot Gris 2017. 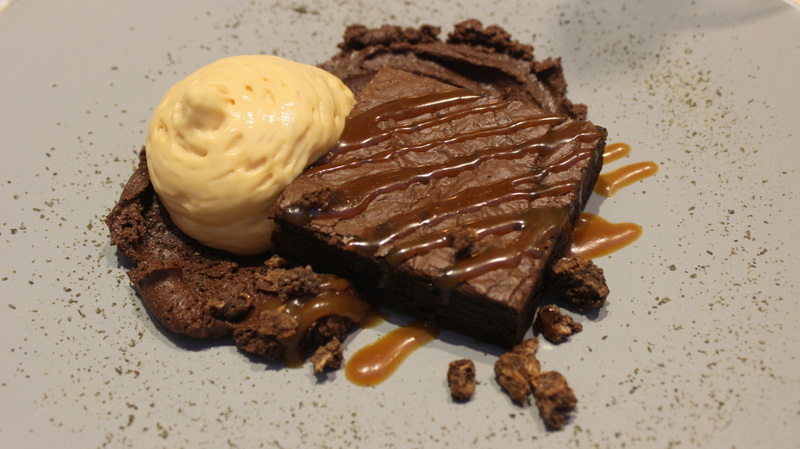 We ended the evening with Ned’s infamous ‘weed brownie = seaweed and milk chocolate brownie with salted caramel foam. 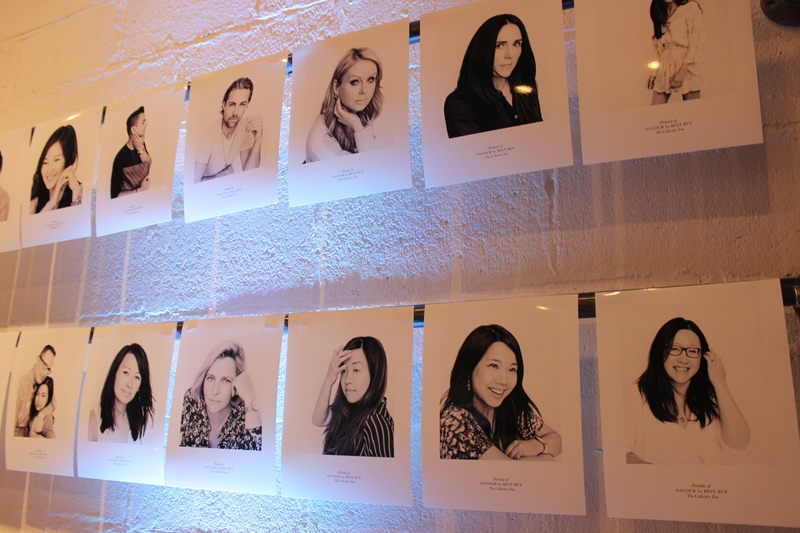 The Collective You also had a photo studio setup at the entrance, offering individual portraits for all guests to take home. Focusing on capturing the most natural and beautiful side of you, photographer and Creative Director Dennis Gocer, has an amazing eye at capturing a stunning black and white photograph of you. We were treated to personal portrait by Dennis and had a wall of amazing photos as a backdrop while enjoying our dinner. 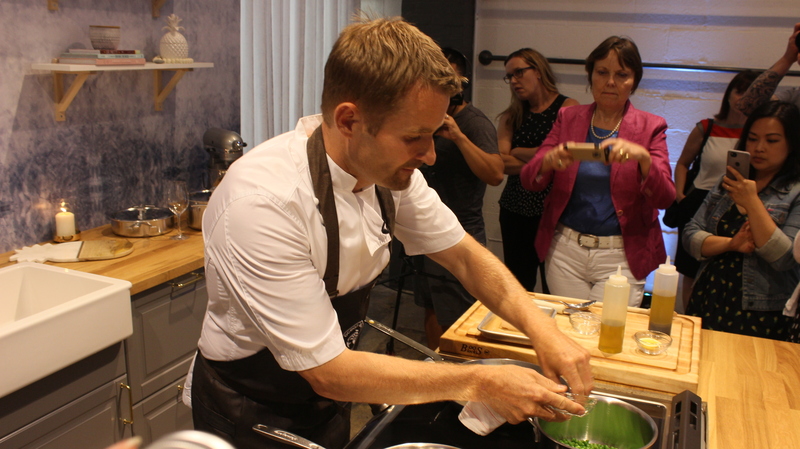 Method: In a large container, blend all ingredients together using a blender (such as the KitchenAid Immersion Blender). Garnish with a torched golden pineapple and a lime wedge. Pour into a rocks glass and enjoy! 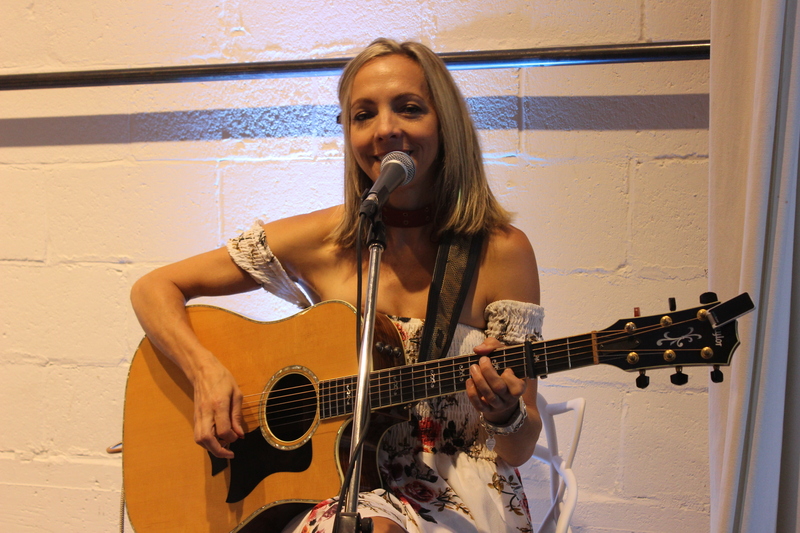 Thank you again to Best Buy Canada for the invitation to this intimate dinner!